What began with a bold choice in house color led to a lush, deep red inspiration to paint palate of this urban perennial garden, elegantly showcasing five majestic Japanese maples and blending beautifully with the existing architecture and colors of the property. 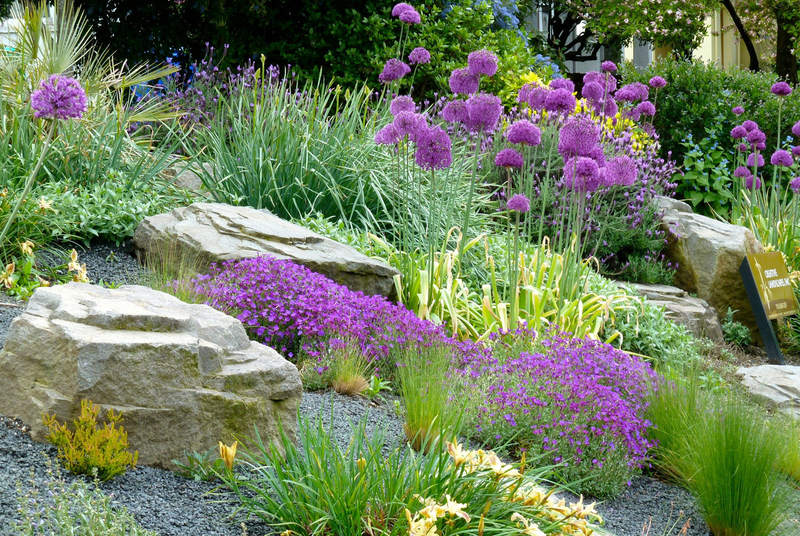 The premise of ditching the traditional bland, boring lawn in favor of a low maintenance, drought-tolerant alternative is gaining in popularity, especially here in the Pacific Northwest where rainy winters and hot dry summer reign. 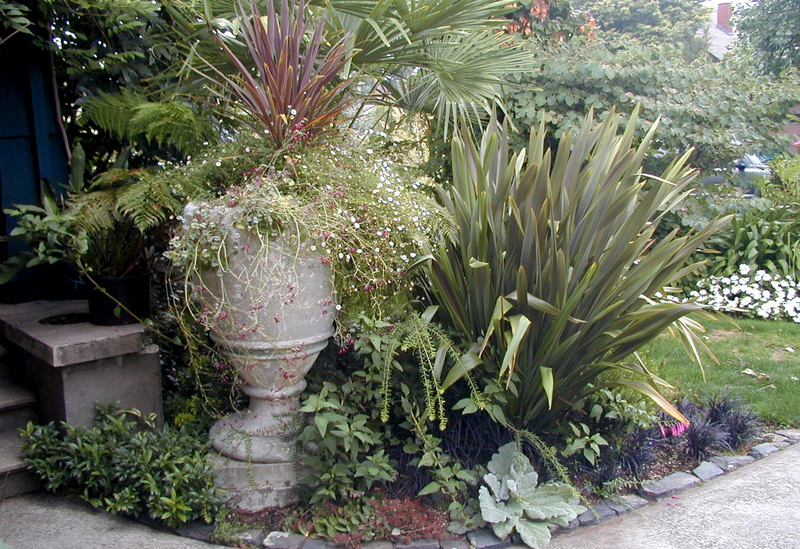 Oregonians are embracing the Mediterranean lifestyle in their landscape and xeriscape designs and we are happy to be a part of it. 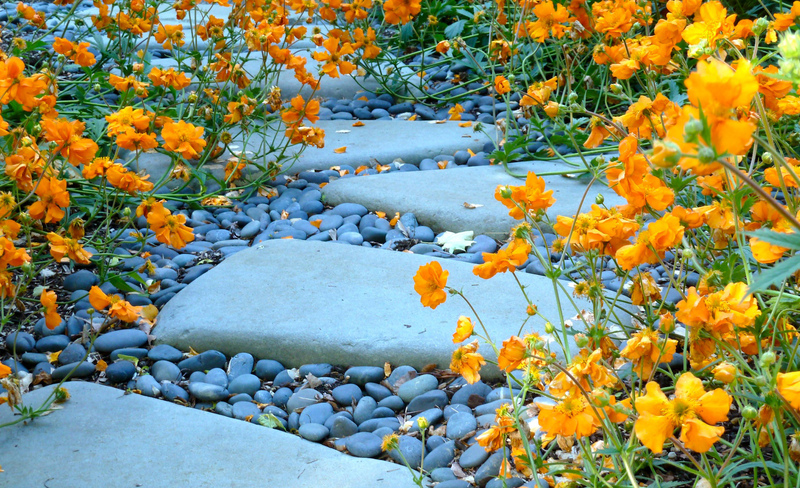 Hardscapes and softscapes should melt together, as a path melts into the forest. Rocks or boulders should be placed to appear as if they were pushed up from below by forces of nature and then softened by time. There’s a balance between what’s natural and what’s imposed, and at Creative Landscapes, Inc., we listen to what the landscape has to say. Hardy palms and bamboo, a mix of tropical and shade-loving plants, and a robust fir tree blend tropical and woodland into an eclectic mix of cohesive contradiction. The owner’s love of dramatic contrasts and careful consideration to the existing landscape played out well in this woodland garden. 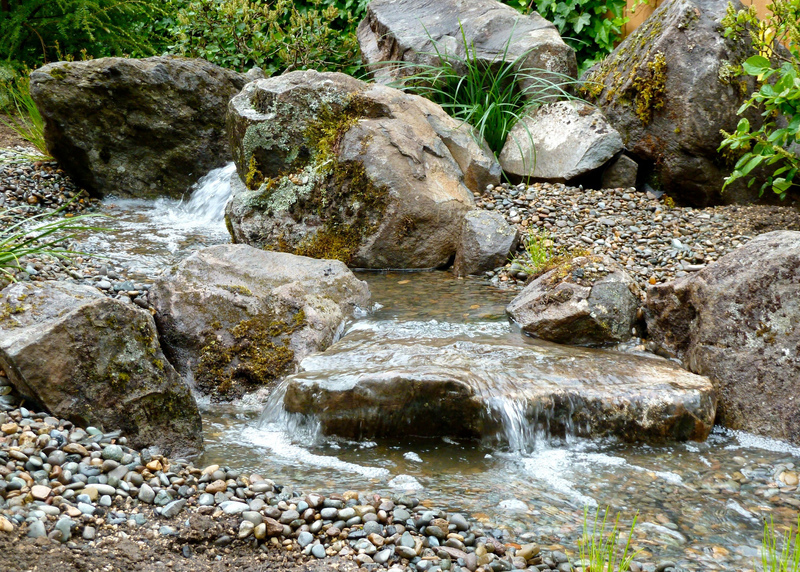 Creative Landscapes, Inc. is a locally-owned business with clients throughout the Portland metropolitan area. 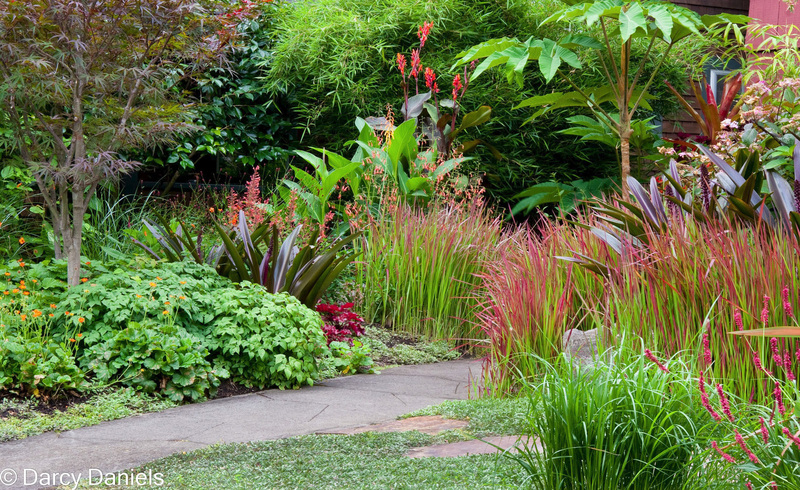 We bring over 30 years experience to designing, planting and maintaining landscapes in this gardener’s paradise. Our trademark is providing color, fragrance and texture throughout the seasons while drawing inspiration from the Mediterranean, the Tropics and the native plants of the Pacific Northwest. Your time in the garden should be a pleasure, not a chore. We provide the technical expertise to assess your site and address the practical issues of existing plantings, light, space and drainage. We listen to you to develop a distinct set of project criteria based on your budget, lifestyle considerations and personal taste. We bring inspiration and insight to the planning process to envision a custom-tailored mix of plants, water features and hardscape.